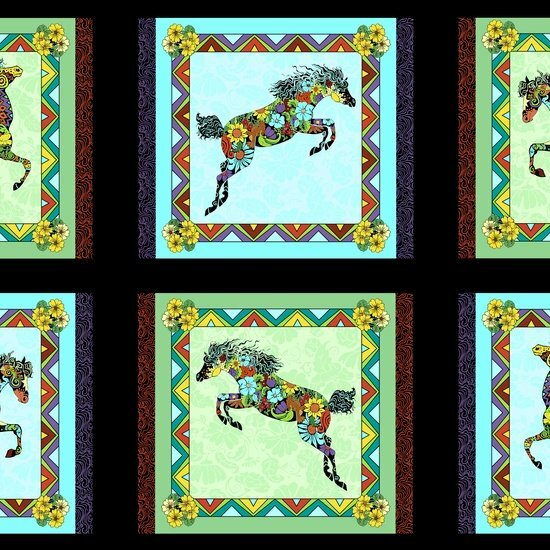 2/3 yd panel featuring teal and green horse patches on black. Approximately 12" blocks. From Painted Ponies Collection by Roberta Morales for Quilting Treasures. 44"-45" wide. 100% cotton.